We all want luscious, shiny locks and healthy, glowing skin but if you have a poor diet it's unlikely you'll get them. Healthy outsides start from the inside and what you put into your body really does have an effect on your outside appearance, even more than we realise. You can buy all the expensive hair conditioning treatments you like and splash out on pricey moisturisers but nothing will do what a nourishing diet does. Pretty much all natural, plant-based foods will benefit your hair and skin but some are particularly packed full of beauty power! This wonderful leafy green is packed full of nutrients including vitamins B, C and E, potassium, calcium, iron and magnesium which all help to make your hair shine and your skin glow. Spinach is also loaded with lutein which keeps your eyes healthy! I love spinach because it's so easy to incorporate into your diet - try throwing a yummy salad together with lots of spinach, chuck some into a smoothie or add it to curries, stews or pasta dishes. Just don't boil spinach as the nutrients will be easily lost! All nuts will do wonders for your hair and skin health but walnuts are particularly powerful. Walnuts contain lots of omega-3 and omega-6 fatty acids which help retain the moisture in your hair. The protein in the nuts helps boost hair follicles making your locks stronger! Walnuts also have lots of vitamin E which is great for your hair, skin, eyes and bones too! You can snack on walnuts on their own or try adding them to salads or on top of porridge! I was always brought up being told tomatoes are amazing for your skin and it's true! Tomatoes are really high in anti-oxidants which protects your skin against damage from the sun, this prevents ageing. 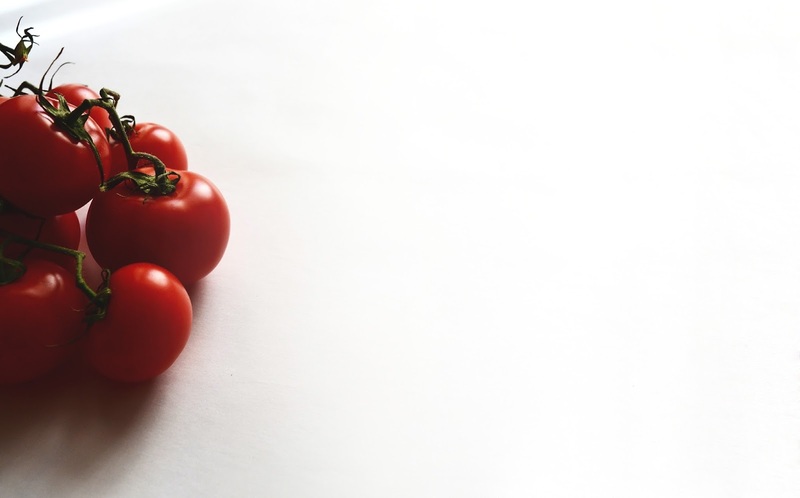 Tomatoes also enables your skin to absorb more oxygen which delays wrinkles from emerging! These are my favourite seeds, I love to add them to salads and on top of porridge in the morning in particular but they don't just taste great they're also loaded with skin & hair health boosting properties. Pumpkin seeds contain loads of zinc, vitamin A and vitamin K which are essential for healthy, strong hair and the vitamin C in these seeds protects the natural oils in your skin and even repairs any damage to your precious skin. When my skin isn't feeling it's best or is looking a little lacklustre I always reach for carrots! I cut them into sticks and dip them into homemade hummus and I instantly feel like my skin health improves. Carrots are full of beta carotene (which is converted into vitamin A in the body), an anti-oxident that fights ageing, repairs skin tissue and protects against UV rays. To preserve the goodness eat carrots raw. Who doesn't love blueberries? They're so tasty and loaded with nourishing goodness for your skin & hair. Blueberries are bursting with antioxidants that protect your skin & hair from damage and prevent premature ageing. Any food with plant-based healthy fats are going to do your skin and hair so much good, especially yummy avocados as they contain so many vitamins and minerals too. Avocados have vitamins A, D and E which all contribute to hair and skin health. The healthy fats in avocados will help improve skin tone and texture and make your hair silky soft and shiny. I love enjoying some sweet pineapple on a Summer's day and it's so fantastic for your skin! Pineapple isn't just loaded with vitamin C that helps maintain your skin structure but it also contains an enzyme called bromelain which is known for promoting skin softness. Porridge is my favourite breakfast without a doubt, so the fact it's good for your skin & hair is such a bonus! Oats contain lots of zinc, magnesium and potassium which all promote strong hair and better skin. Top your oats with blueberries and pumpkin seeds and you've got yourself a beautifying breakfast! As well as eating all these delicious, nutritious foods make sure you're staying away from the nasties if you want healthy, happy hair and skin. That means keeping clear of the refined sugars, the preservatives and the chemicals! Oh, and drink lots of water too!